This book is the first-ever biography of one of Spain’s greatest musicians in the modern era. 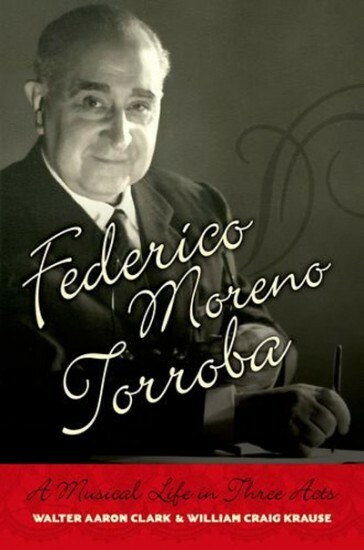 Composer, conductor, and impresario Federico Moreno Torroba (1891–1982) had a long and productive career, during which he witnessed many dramatic changes in the social, political, and cultural life of his homeland. And yet, despite the vicissitudes of Civil War, dictatorship, and the gradual return of democracy and prosperity, he remained firmly committed to his goal of composing Spanish music rooted in the fertile soil of regional folklore and the daily life of his fellow Spaniards, especially in his native city, Madrid. Torroba composed over seventy works for the stage and nearly a hundred works for the guitar, among a wide variety of other vocal and orchestral compositions. Not only was he prolific, but his works for the stage and the guitar have also found a permanent place in their respective repertories. Torroba’s music has enduring appeal precisely because it exhibits the passion and verve of the songs and dances that inspired it, whether a Cuban habanera, a Castilian seguidillas, or an Andalusian bulerías. And yet, despite its accessibility and popular appeal, Torroba’s music reveals consummate craftsmanship and a true maestro’s careful attention to dramatic and musical detail. This biography tells not only the story of Torroba’s life but also of his native land and its music during some of the most turbulent and intensely creative decades in Spanish history.